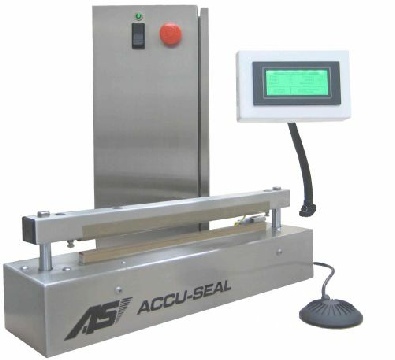 The Seal Head can be placed in a laminar flow hood, on a tabletop, cart or stand, and is operable in a vertical, horizontal or angled position. The Touch screen is mounted on a flexible arm so the operator has easy access and visibility. The control cabinet can be wall mounted, lay flat or stand up within 6 feet of the seal head. Impulse Heat Seal Bars - 20, 25, 30, 35 inch long.